The TLTV appointment line is (817)546-4460. Please call us to schedule an appointment for the next legal clinic. After all appointments are filled, no more appointments will be taken and messages will be returned after the clinic for that particular month is held. Please listen carefully to the voice mail message for instructions and further information. If your case is time sensitive and you need immediate assistance, please contact the Legal Aid of Northwest Texas, Fort Worth Office at 800-394-9734. You can find a complete listing of all LANWT Offices at www.lanwt.org If you need assistance in another Texas county, please check the Calendar at texasbar.com/veterans. 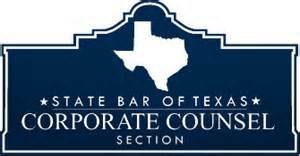 If you have a complaint or a concern about our program, our attorney volunteers or our staff or if you dissatisfied with the quality of the services provided to you at the clinic or by one of our volunteer attorneys please contact Melissa Sircar, Pro Bono Programs Director at (817) 338-4092.